Mell Corcoran is a groundbreaking mystery writer and creator of a series called Shadows. Her latest offering, Shadows of Doubt, is a mystery/thriller that challenges your every perception and shakes the marrow of your bones. With themes that could just as well be classified as paranormal mysteries, this book is sure to blow the minds of mystery readers of all genres. A Southern California native, Mell has a professional background in law, a love of animals, and a deep sense of family. I caught up with her recently to find out a little more about the things that inspire her creativity. Can you tell us a little more about yourself? What were you like as a child? What was it like growing up in Southern California? Looking back, I was always an imaginative and creative little girl. I made jewelry out of copper wire, sticks and twigs became swords. I made clothes for all my dolls and each one had some long history that I concocted. Living in Southern California we have always been blessed with excellent weather so I spent endless hours outside playing, making mud pies or digging a hole to China or some other such silliness. My first friend, aside from my sister, was the little boy up the street so I could swing from playing mystical princess to Army Ranger seamlessly. My childhood was simple and happy. Do you happen to remember what you very first favorite story was? The first story that springs to mind is Charlotte’s Web. I received a copy as a gift when I was very young and to this day I still have the protective plastic wrap on it, I was so in awe of getting my very own hardcover book like the grown-ups had. That is probably where I got started refusing to squish spiders. You have said your mother is your best friend. Do you consider yourself lucky to enjoy such a closeness? I am more than lucky, I am truly blessed to have such an amazing relationship with my mother. I was not always an easy kid and I did my fair share of rebelling. Fortunately, my mother is an amazingly strong and supportive person and stuck to her guns with me. Ultimately, I snapped out of it and turned out OK. Looking back only makes me admire and value her friendship more. Did she encourage your love of written word from early on? Absolutely. Books were equally as important as any doll or toy when I was little. My mother has always been an avid reader so I probably mimicked her to a great extent in the early years. I remember the day she took me to the local library for the first time. I can even remember the smell this very moment. It was like walking into some sacred cathedral and she instilled it being a very special place right off the bat. I couldn’t wait to be old enough to get my own library card. How do you think she has influenced you most over the course of your life? My mother sacrificed a lot for my sister and I when we were young. She gave up a great deal and worked tirelessly to make sure we had everything we needed. Even when things were really bad, she protected us and made us feel safe. Looking back I can say that her grace and strength inspired me. Her sense of humor definitely rubbed off on me which many would probably argue, is not necessarily a good thing. We are a little warped. Did you also have a love of animals from early on? Do you think people should be taught to respect all living things from an early age? I’ve always been an animal lover. Animals and insects have always fascinated me and in retrospect, I think I always looked at most creatures as equals, rather than lesser beings. As I grew up, when I became aware of how some cultures view all life as sacred, it just made sense to me. Everyone has their own belief system, it’s all a matter of faith but to me, you never know. I might come back as that moth or beetle and I would want someone to save me, not squish me. I am constantly razzed for this particular quirk of mine. I have been known to stop traffic at a busy intersection to help a mouse cross the street. We all need a hand sometimes, creatures too! I think our society is sorely lacking respect these days. Respect for our elders, for those that sacrifice so much so that we may enjoy our rights and freedoms. Animals, humans, all life is sacred and deserves the utmost respect. I am honestly not sure how we as a civilized society are going to get back to these basics with our youth. Kids are more and more desensitized to the value of life these days. It is something I think about a lot, actually. Does your background in law help any in your writing work? It absolutely helps with the research aspect. I want plausibility, regardless of how fantastical something may be. I dig for threads that are factually accurate so that hopefully my readers think twice rather than dismissing things as pure fiction. I truly believe researching the facts and building a solid foundation is critical in presenting one’s case in law as well as one’s story. What led you to be a writer instead? I’ve written things forever. Poems, songs, short stories. Writing has always been a constant in my life, even though it was for personal pleasure rather than a career. Once upon a time I believed in our legal system with a fierce passion. Some of the most beautiful writing can be found in this Nation’s founding documents. Sadly, as in nearly every profession these days, the spirit of the law has sagged and taken a back seat to winning at all costs. Dollar figures dictate more than principal and I didn’t want to grow bitter with my work so I slowly walked away. I am truly much happier for it and think I am a nicer person than I used to be. But that is a matter of opinion. You’d have to ask my family for confirmation on that one. Why did you choose to write mysteries? I think loving mysteries is genetic in my family. My mother, my uncles and aunts, we all are huge mystery lovers. I remember my first Nancy Drew novel and talking with my mother about “who dunnit” so writing mysteries just was the natural course for me. Why do you the world has always enjoyed a good mystery? I think it’s the solving of the puzzle combined with the primal desire for good to triumph over evil. Everyone can connect with those basic elements in one way or another. Reading mysteries gives the reader a way to connect with a hero on a uniquely personal level, live the challenge in one’s mind without the risk. Honestly, who hasn’t dreamed of being the detective or the superhero and saving the day? 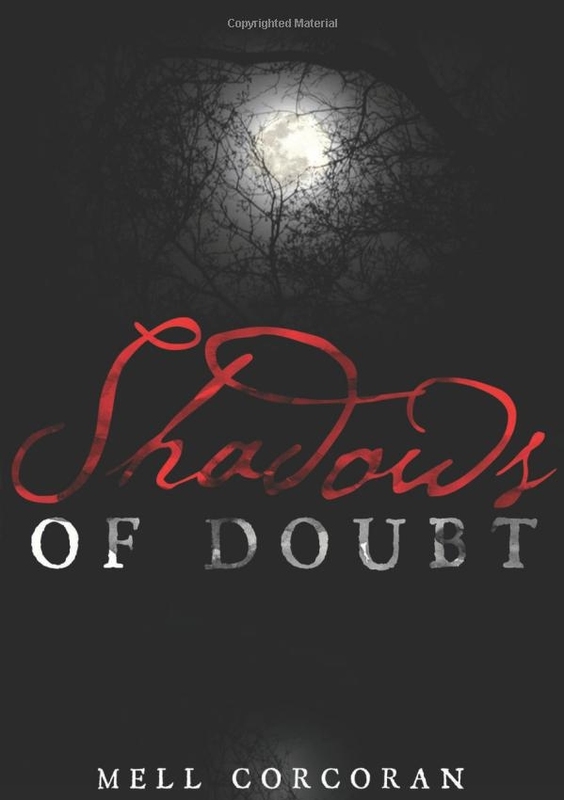 How did the story for Shadows of Doubt come to be? Writing a novel has always been on my “bucket list”. At the end of 2010 my family had a crisis that made me take a long look at my life and re-prioritize. Writing the book rose to the top of things I wanted to get done and by April 2011 the first draft was finished. The original idea for the book was nothing like the final product. I did have the opening line of the prologue whispering in my head for a couple years before I finally sat down to write. Other than that, most everything in Shadows of Doubt is entirely different than what I planned. When I began writing, the story became organic, it took on a life of it’s own. Were the supernatural elements in this story intentional? I think so. I know that is a strange answer but let me qualify myself. While I am a huge fan of paranormal fiction, I really wanted to write something that felt real, that everyone could connect to on some level and at some point think “Hmm, that might be possible, it could happen.” Take the Incredible Hulk for example. Stan Lee took something that might happen and pushed it to an incredible and unlikely scenario with the radiation exposure and such. Scientifically we know that certain exposures can cause anomalies. What if? And why do they always have to be negative? I have never bought into the classic Bram Stoker version of vampires and frankly, the whole no reflection, no sunlight, undead blood thirsty monster stereotype always seemed silly to me. No self respecting adult buys into that, right? That’s pure fiction. But, what if? What if there was a reasonable explanation for a condition that was not so impossible? Genetic mutations are fact, not fiction. So, who knows, right? What are your feelings on such things? I am a simple mortal human who, in the grand scheme of things, knows exactly nothing. Once upon a time civilization thought the world was flat, right? Now we see pictures taken from outer space. I believe anything and everything is possible. Until I personally experience hard cold fact proof that something is not true, I always leave the door open for possibilities. Are there any little known things about yourself that you’d not mind sharing with our readers? That’s a tough question. I am sure there are a ton of little things, most of which probably shouldn’t be shared with the public at large. Maybe the fact that I am a sucker for corny jokes? My favorite of all time is: What did the snail say while riding on the turtle’s back? Get it? He was going so fast riding the turtle? I love that joke. It always makes me smile. Is there one subject you’d most like to cover in your work that you have yet to? I don’t know yet. (smiles) I’ve learned not to plan what I write so it’s hard to say where the story will take me until the fonts appear. I suppose I have a tendency to touch upon the human conflicts we all face once or twice in our lives. Love, loss, loyalty, the internal struggle between what we want to do and what we need to do. Other then that, it’s hard to predict where my mind will wander. We will have to wait and find out. As a woman what advice would you leave the women of tomorrow? Be patient. Men can’t help the way they are. I’m kidding, sort of. Seriously though, my advice would be to never let the fact that you are a woman ever be an issue. Honestly, the only time I think about it is when I am deciding what to wear. Poor boys, they are so limited. What would you say you consider to be the most important thing a person can take out of this thing called life? Appreciation. Really knowing and valuing all the good stuff a person has had in their life is really all we get to take with us when we go. Truly loving, laughing, being in each moment as best as you can before you simply can’t any longer is what I feel is truly important in life. Don’t get me wrong, there will always be stress and garbage to deal with but that is not the stuff you need to hang on to. Those things are negative space. I prefer to focus on the positive spaces that make me smile instead. Why do you think the world has always been so fascinated by death? I think it’s the classic fear of the unknown. Perhaps with a sprinkling of the taboo. For instance, when we are very young and we see that flame in the fire for the first time, our parents yell “Hot! Don’t touch!” What child do you know never tests that and get’s burned once or twice? For whatever reason, we don’t know what death really holds. It is the one true absolute mystery in life that I don’t know will ever be solved. We as human beings are inherently curious creatures so it’s only natural that in some way or another we are fascinated by death. Although in some cases I’m not sure about the word “fascinated” but to wonder is only natural. Right now I am finishing up the next book in the series of Shadows. It’s about 99% done but I need to let the ending reveal itself. After that, book 3 will start popping up in my little brain and I’ll get to work on that one. Anything else you’d like add? I don’t think so! I hope this interview gives my readers an opportunity to get to know me a little better but I’m not sure that’s a good thing either! (grins) I thank you for the opportunity and your thoughtful questions. It has been a true pleasure.